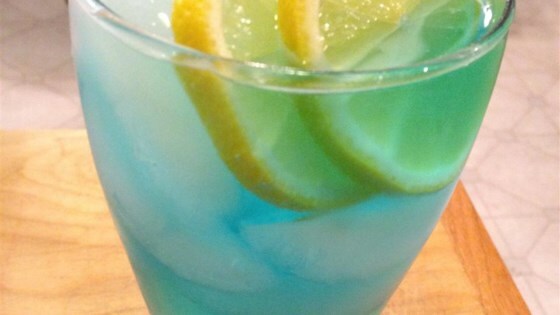 "Just in time for summer... A sweet and tangy vodka drink perfect for the outdoor gathering." eletric lemonade is a good drink for ppl who dont like the taste of alcohol. we like to use the small cans of 7up when making a drink. Yum!!!! Everyone enjoyed on the 4th of July. Great summer drink. Not too sweet and goes down smooth. LOVE THIS! This is a perfect drink for a hot summer eve, on the patio with friends!! Not to strong an alcohol taste. Didnt have sour mix or citrus vodka.. So I used sweet and sour mix and passion fruit flavored vodka and it was still super yummy and not too sweet at all. WOW! This was SO good! It was dangerous too- soooo tasty!